- This particular sign is black and white buffalo plaid. The lettering is painted black with red trim. 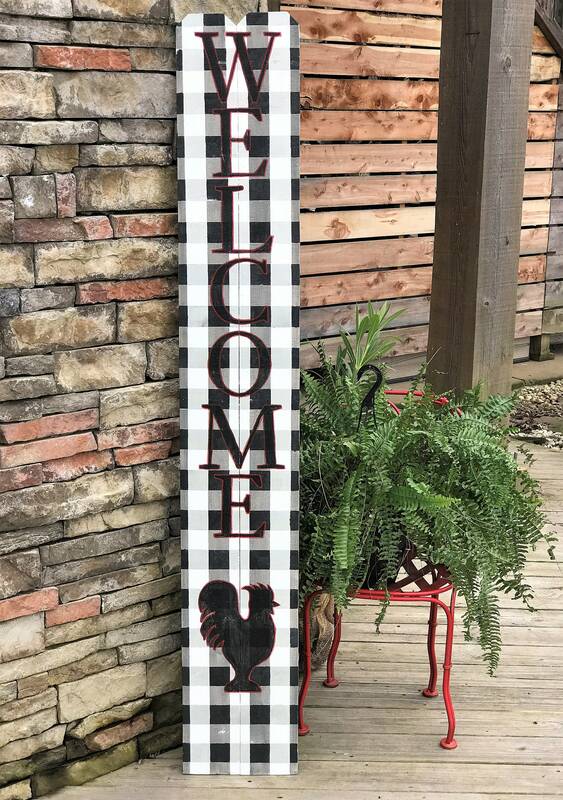 There is a farmhouse style rooster on the bottom that is also black with red trim. My signs are always 100% hand painted and vinyl is never used.